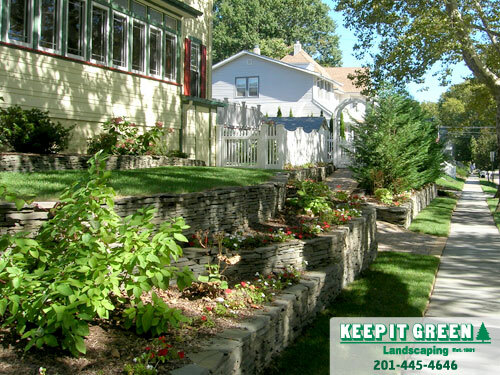 Keep It Green Landscaping provides services in Glen Rock, Ridgewood and in surrounding Bergen county. At Keep It Green Landscaping, we understand that your home is your castle. We know you want your landscape contractor to provide a full range of landscape services. With our proper landscaping maintenance we will enhance your landscape design. 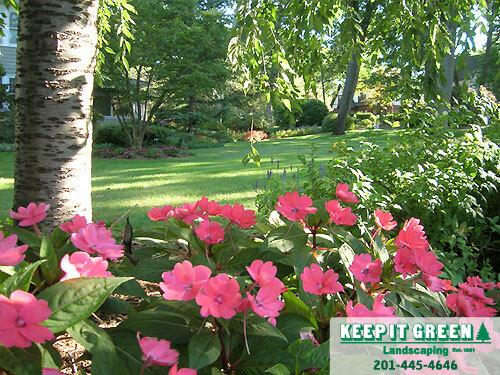 We will help you reach your landscape maintenance goals and make your home one of the nicest in your town. We add value to your home's landscape by offering a full line of landscaping and horticultural services and by setting high quality and safety standards. You’ll enjoy the comfort of not having to worry about what to do, how to do it or when you’ll be able to do it. Yard maintenance will be a thing of the past. We do all the hard work and you get all the compliments. Please remember at Keep It Green Landscaping we are a full service landscape contractor and can handle all of your landscaping needs. Why not make spring of 2019 the year your dreams come true? Each year our client loyalty rate exceeds 96%. Our proven track record of providing results is the key to our client loyalty. You too can trust your home 's landscape maintenance to Keep It Green Landscaping. 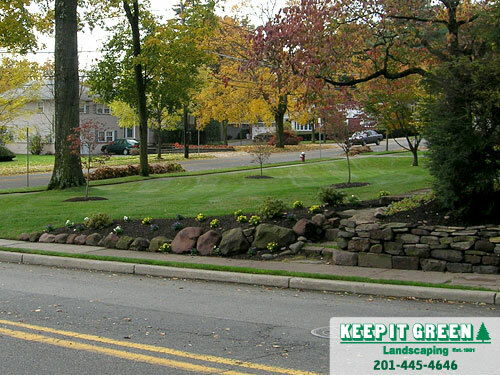 We have been satisfying customers with residential landscaping services and commercial landscape maintenance in Ridgewood, Glen Rock, Wyckoff, Midland Park, Ho Ho Kus, Fair Lawn, Paramus, Hasbrouck Heights, Wood Ridge, Rutherford, and surrounding areas in Bergen county NJ. We do it all so you don’t have to ! 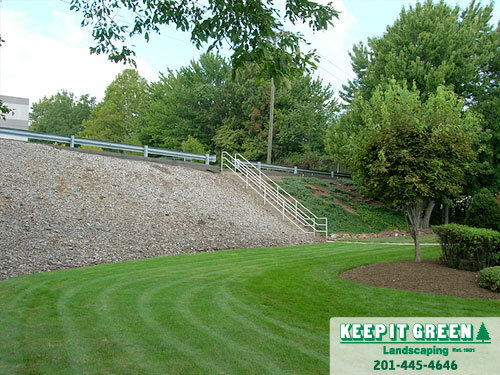 On Site Examples of Keep It Green Landscaping's Commercial Landscape Maintenance. Call today and start enjoying results tomorrow!